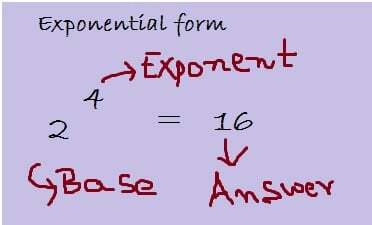 This entry was posted in algebra help, Algebra Homework, Algebra tutor, Calculus homework help, Calculus Online Tutoring, Calculus Tutoring Online, Education, Geometry help, Geometry online tutoring, Help with calculus homework, Homework Help, homework help online, how to do Math, k-12 education, Math Help, Math homework help, Math Online Tutoring, Math sat tutor, math test preparation, Math Tutor Online, Maths Tutoring Online, Online Calculator, Online Calculus Tutoring, Online Geometry Tutor, online homework help, Online Math Tutoring, online pre calculus tutoring, online Probability tutoring, online probability tutors, online Trigonometry tutoring, Online Tutor, online tutoring, Online Tutoring Blog, online tutoring services for college students, Online Tutoring Websites, Online Tutors, Pre Algebra help, Pre Algebra tutoring, pre calculus help, Pre Calculus Homework Help Online, pre calculus tutoring online, Probability and Statistics online tutor, Probability help for students, Statistics Help, statistics tutors, Trigonometry Homework Help, trigonometry tutor, trigonometry tutoring, Tutor Website, Tutoring Online and tagged algebra, calculus, exponential notation, Homework Help, logarithmic form, logarithmic notation, online math tutor by tutorpace. Bookmark the permalink. One of your examples (in a mauve box) shows, on the left, 5 squared = 25, then on the right, log2 of 25 = 5. This is wrong. You should write, log5 of 25 is 2. Thank you for pointing the errors. I have gone and corrected it.